Incredibly compact and fits into even very small bathrooms. 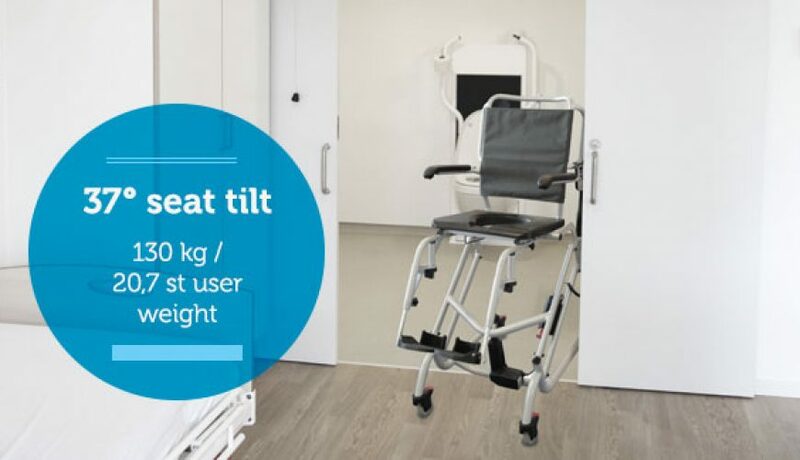 The electrical lift of 41,5 cm means that you can transfer the user directly from the bed without a person lifter and guarantees the caregiver perfect work conditions throughout the care process. In this way, straining of the caregiver’s back, shoulders and knees is eliminated. 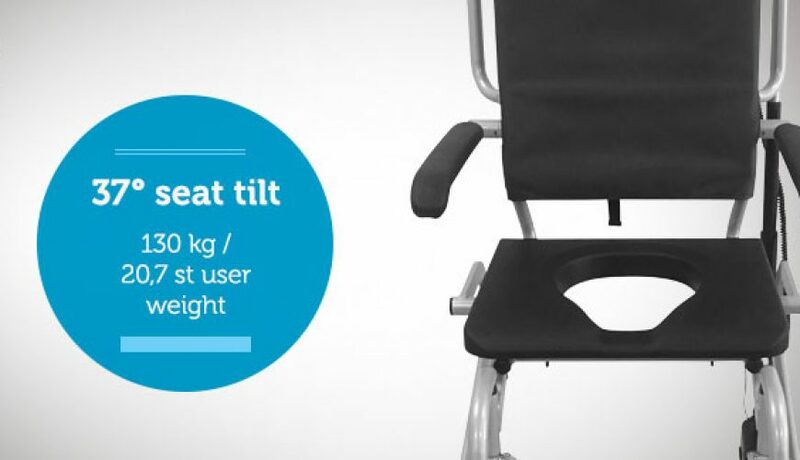 The lifting function allows the user to get up to the sink and mirror, where he can participate, thus creating a more dignified care routine. 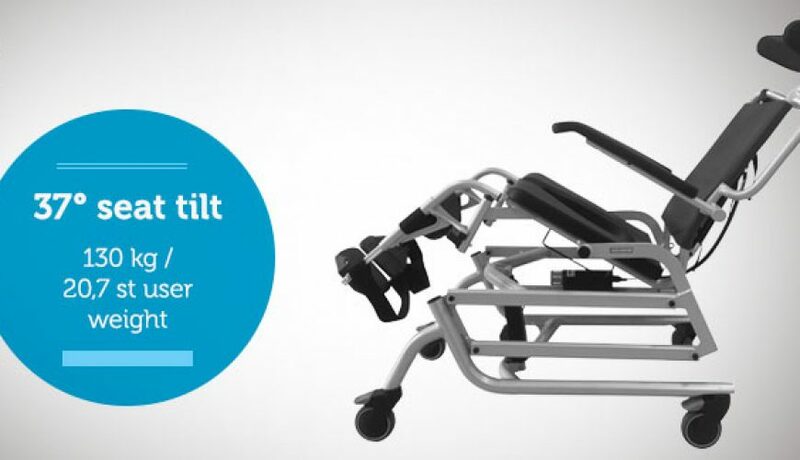 With electrical seat tilt and multi-adjustable backrest, Rise III makes it easy for the user to find the most comfortable sitting position.